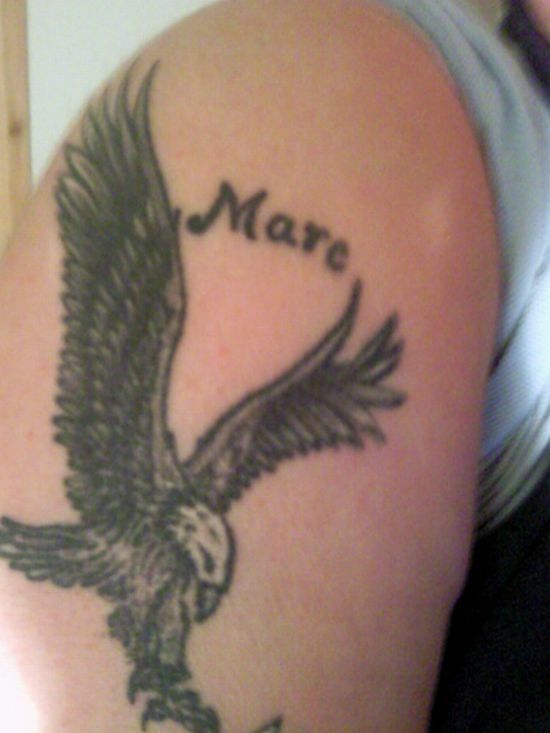 The above is a very pretty eagle tattoo with the name of the person embodied. Eagles are a sign of strength and are one of the most common tattoos among the daring. The guy who got this done actually wanted to overcome the fear of the needles and he really did. Above everything, this eagle tattoo is giving a funky as well as an elegant look. ← Arm up in flames!